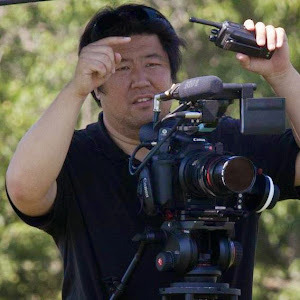 Sky Syndicate Entertainment is the hub for filmmaker Sam K. Yano - Writer, Director, Cinematographer, and Digital VFX. Sam K. Yano started in 3D CGI working on commercial projects for Hyundai, PacifiCare, and Johnson & Johnson. He then moved into television and film working for Discovery Health, Paramount Pictures, Canon, and Toyota, and has since worked as a feature cinematographer for the historical biopic TAKAMINE in Japan and for award winning US indie films like SALAD DAYS and SAKE-BOMB which premiered at the SXSW film festival. He also wrote and shot the thriller SAKI for Japan's Albatros Film. Below are site feeds to my other web pages including videos and pictures. Be sure to look for new posts and enjoy! © 2013 Sam K. Yano. All rights reserved. Picture Window theme. Theme images by RASimon. Powered by Blogger.